If you’re a man who has trouble losing weight and staying in shape, it’s important to know that you’re not alone. Thousands of men across North Carolina are looking for ways to burn fat, gain muscle, and stay fit. When it comes to keeping your weight in check, there’s really no getting around the surefire formula of regular exercise and nutritious meals. 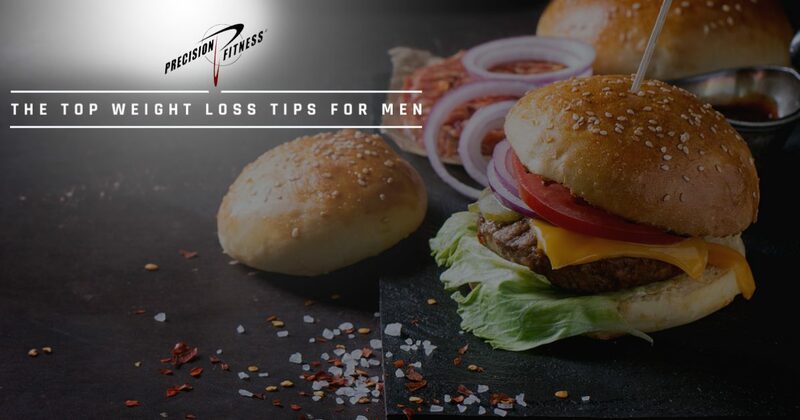 That’s why, in this blog, we’re going to go over some of the top weight loss tips for men so you can slowly work your way towards a healthier and more confident you. 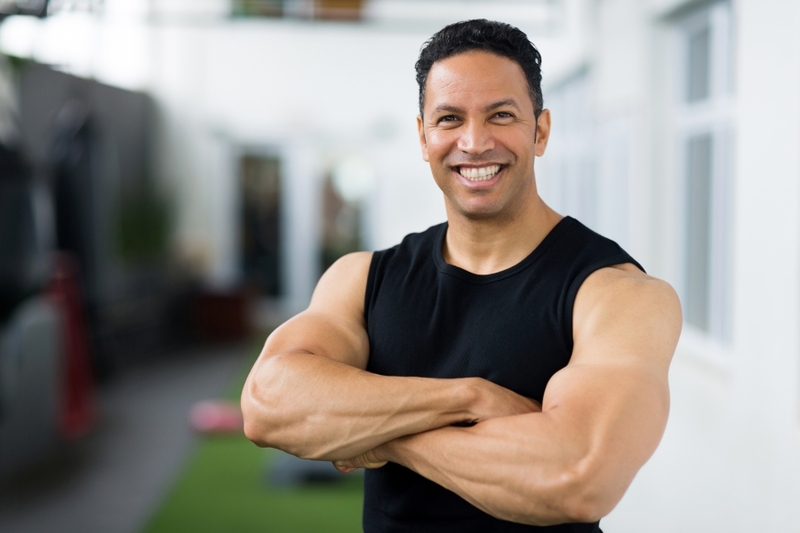 At Precision Fitness in Cornelius, we’ve helped hundreds of men and women achieve their fitness and weight loss goals through our personalized fitness coaching. When you schedule an appointment with one of our fitness specialists, we’ll conduct a comprehensive consultation and evaluation to determine what your training objectives and workout goals are. We also offer sports performance training and nutrition training for those looking for a little extra help. If you’re interested in learning more about our services or you have questions regarding our fitness coaching, contact us today! Did you know that taking the time to cut up your food can actually help you to consume less calories? Whether you’re eating a sirloin steak, bagel, salmon fillet, or chicken breast, try cutting up your food into small pieces for you chow down on a meal. In a recent study conducted by Arizona State University, participants that were given a cut up bagel ate less of it than those people who were handed a whole bagel. The same people also consumed less food at a lunch that was served 20 minutes later. 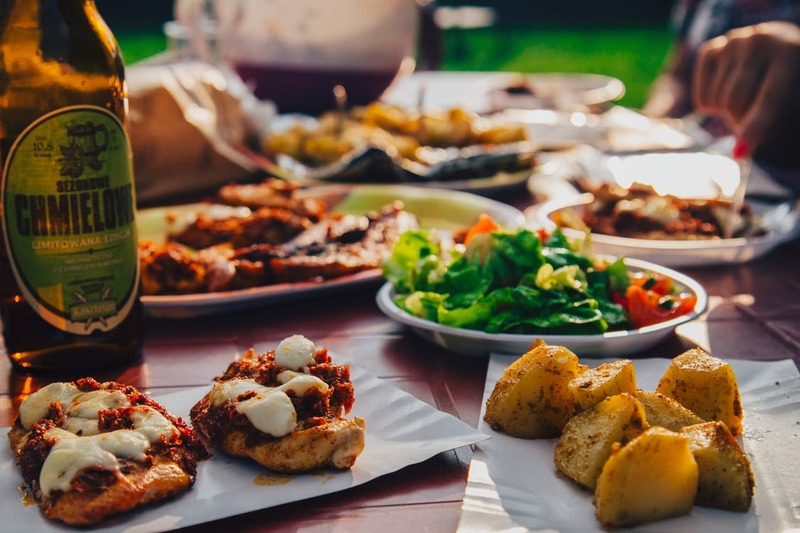 Thanks to this study, researchers found that pre-cutting food can actually make each bite more satisfying, helping with portion control. At Precision Fitness in Cornelius, we’re happy to offer nutrition support in addition to our personal fitness coaching and sports performance services. Our fitness experts take a holistic approach when it comes to nutritional education, and we can work with you to focus on social, genetic, physical, and emotional factors that can have negative effects on your health. Our main goal is to provide the highest quality and most science-based nutritional counseling to help you sustain a healthy weight and peak physical performance. If you’re an avid snacker throughout the day, you may be looking for a sly way to stop munching after you have breakfast, lunch or dinner. Once you complete a meal, consider taking the time to brush and floss your teeth. Not only will this be beneficial to your oral health, it will leave your mouth feeling fresh, clean, and minty. This will make you less likely to nibble mindlessly on those afternoon snacks throughout the day. If you travel for business, you may have a difficult time trying to eat healthy as you travel from point A to point B. To lessen the likelihood of ordering fattening entrees on a whim, it may be wise to decide which restaurants you want to visit ahead of time. You can research most restaurant menus online, and choose the healthy options you wish to order. If you stay in hotels frequently, you may also want to consider taking advantage of the coffee maker and a packet of instant oatmeal in your hotel room. A quick and easy breakfast snack is a great way to tide yourself over until you can find something a little more substantial and nutritious to eat. While nobody wants to dine with a tally sheet next to them, tracking the number of bites you take per day can help you to become more conscious of your eating habits. Brigham Young University researchers recently asked a group of students to count their daily bites. They then asked these students to cut that number by 20 percent over the next month. Those who followed the directions lost an average of four pounds! Simply slashing calories can lead to weight loss, and counting your bites is a good way to start! If you have a sweet tooth (like most of us do), you probably crave candy at least once a day. Instead of grabbing that enormous chocolate bar or buying a large bag of Skittles®, consider purchasing individually wrapped candies instead. A recent Swiss study took a group of people and asked them to take candy freely from a bowl. Those who grabbed a few pieces of individually wrapped candy ate just three pieces, while those who offered unwrapped sweets ate at least five. As you can see, the small effort that is required to unwrap something can be enough to slow you down and deter you from consuming more than you need. Before you cut into that New York sirloin or pound-stack of pancakes, take a few moments to pause and smell the deliciousness of your food. There is evidence that suggests that smelling your favorite foods actually sends the same pleasure signal of fullness to your brain as eating them. This could potentially help you to eat less, which will automatically result in less calories consumed. If you love to sip on sugary drinks all day, you’re going to have a very hard time losing weight. To help you kick this addicting habit, consider keeping a clear pitcher of filtered water in your fridge at all times. Make sure you have cucumbers, lemons, strawberries, basil, or mint around so you can spruce up your glass of water with a little natural flavor. Fruit infused water may not be as exciting as soda, but it’s also not jam-packed with unnecessary sugars and calories. We hope these tips have proven to be helpful along your weight loss journey. If you live near Cornelius and you need help losing weight or getting in shape, contact the fitness professionals at Precision Fitness today! We also offer sports performance training and nutrition coaching.